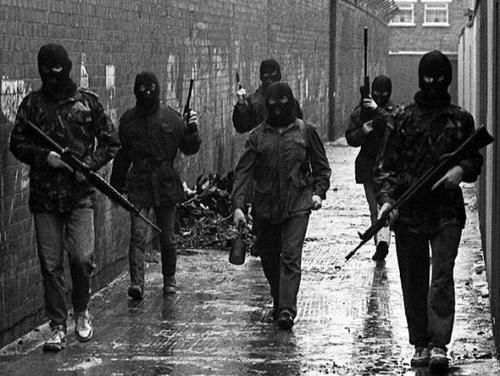 It is twenty years ago exactly since the Provisional IRA’s “ceasefire” – the day they declared a “complete cessation of military operations”, as they described it. It wasn’t a perfect ceasefire and the fragile peace faltered for a while a year or two later – but nonetheless this day, twenty years ago was surely the watershed moment in the end of organised terrorism in Northern Ireland. I was absolutely amazed to see this happen, having been used to seeing atrocities in the news regularly for as long as I could remember (the ‘Troubles’ had started at the end of the ’60s). But what really stunned me was the timing. The Provos had set off huge bombs in London occasionally. I had been hoping to move my career there for a while, so I was quite apprehensive about this. Their cessation came into effect, as if for my own convenience, on the day before I started a new job as a systems manager at a Japanese bank in the City of London. I couldn’t believe it. Of course, it must have been a considerably bigger relief for thousands of ordinary people on both sides of the religious and political divide in Northern Ireland. I’m not sure what motivated the leadership of Sinn Fein and the Provisional IRA (the same thing really) to do this. I can only assume that they had come to realise that the years of violence had only strengthened the resolve of the Unionist majority and the British government to oppose them, and polarised the two communities. Perhaps they were sick of the lethal justice regularly visited upon them by the British armed forces. Most probably I imagine they foresaw, correctly, that they’d have more influence from a position in which they’d be able to take part in the political process than one which perpetuated their exclusion.